Thank you for contacting me and for using my CDs. I am happy to hear that you have recently caught the bug to sing. I will say, that in my experience everyone can learn to sing better. Not everyone can be a great singer though. Born talent is gifted to us mysteriously at many different levels. Most people can sing OK to good, rarely are people horrible or fantastic. The most important thing is that it gives you joy to do it, so you should keep on singing and enjoy yourself. The more joy you feel, the more others will feel from you. Sing as much as feels comfortable. 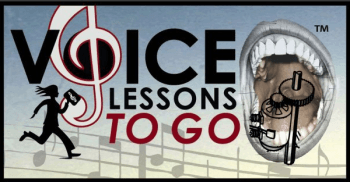 The more you practice with the CDs the stronger your voice will become, but you never want to push or strain. And remember we sing with muscles, so just like any activity, you can’t go from zero to a full marathon. You need to build up your stamina. Try singing through my CDs every other day at first, and then push to everyday if all feels good. Listen to your own body. If something does not feel right, discontinue or take a break. Muscles need time to develop.